Since Christmas, while the weather has been cold and wet (is spring ever coming?) we have mainly been inside progressing with jobs that give you almost no pleasure at all. Jobs that you really want to pay someone else to make go away, but you know you can do them yourself and so…you force yourself to. But, they are really horribly time consuming and really completely boring. Repeat until you want to kill yourself. 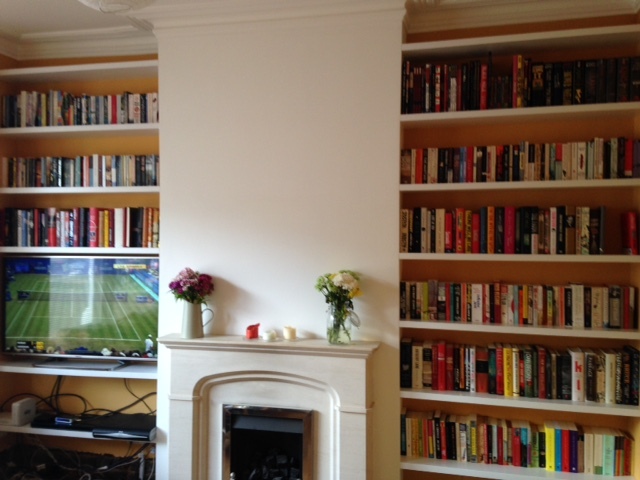 Over the last few months we have painted three doors, three rooms worth of skirting boards, stripped wallpaper from four walls and moved furniture around several times a day it would seem. We’d just put these things off, knowing they’re no fun, but when you finish you go, ‘oh, wow, why did it take us two years to do that?’. Sound familiar? I think most weekends in 2016 we have been doing something with a paintbrush…but, it’s the little jobs that can sometimes make the difference. The beautiful ornate skirting boards we had made based on the original old ones look absolutely stunning with the white beads really complimenting the orange walls. The kitchen door – although it took 4 days to paint (16 hour drying time, WHY?) 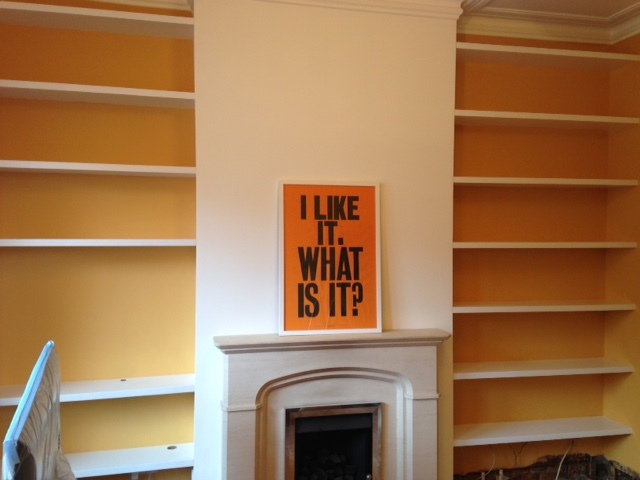 – now looks super smart re-hung. And I definitely don’t miss the awful flowery wallpaper in the hall and landing greeting me every time I come home now. 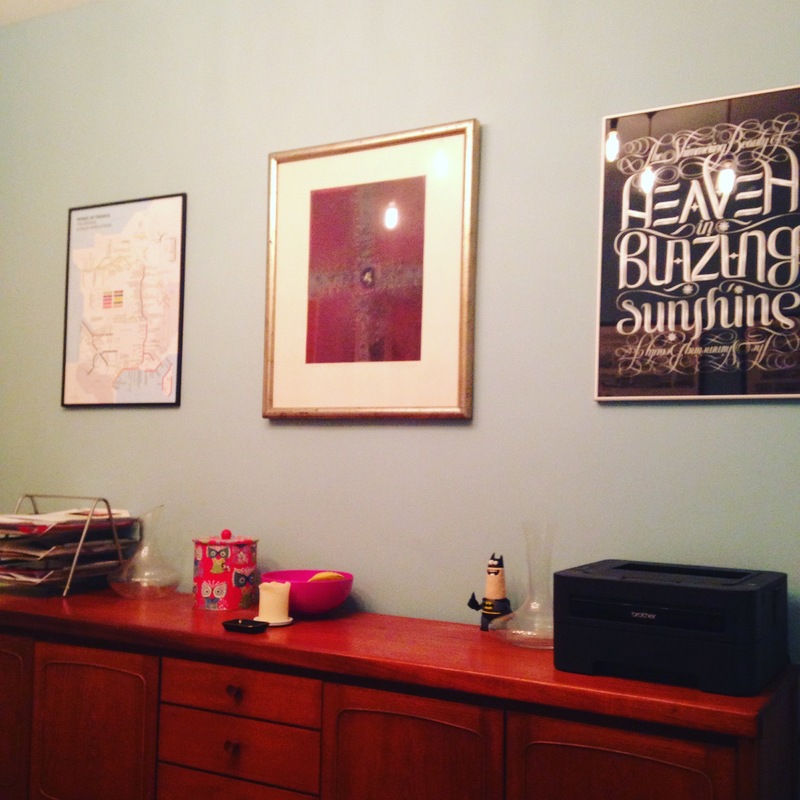 And it’s amazing what finally hanging long lost pictures can do for your sense of achievement… So next up is our spare room. Plastered last autumn but since then filled with “stuff”, we’re currently laying a new floor, replacing a window (first time we’ll have double glazing in that room for almost three years! ), new skirting boards (groan, more painting), new radiator already in, new cornicing being ordered, walls and another old/new door to paint. So, watch this space – we have some guests schedule late May so I’ve given myself that deadline…fingers crossed. I only recently read my first Maggie O’Farrell, after several people couldn’t believe I’d never read her. I read Instructions for a Heatwave and devoured it. Did not want it to end. Definitely will be reading more! I was lucky enough to get a proof copy of the upcoming Everyone Brave is Forgiven by Chris Cleave. Again, my first Chris Cleave and I absolutely loved this. Set in World War II, with a fantastic leading female I whipped through this and then cried at the end. He’s doing an event with Newham Bookshop at Wanstead Tap in June which I’m hoping to go to. Thoroughly recommend (out this Thursday). I read Fiona Barton’s much hyped The Widow in January on release. I enjoyed the beginning, but for me, it didn’t quite deliver…fantastic concept though. Post Serial (enjoyed the second season but not as much as first…) I am having a love affair with This American Life podcast. You can get recent episodes free through your podcast app, but I was recommended their own app – £2.49 and over 500 episodes at your fingertips. Each one explores fascinating real life stories and I cannot get enough of them at the moment. People are just so interesting. We’re doing this thing of trying to watch everything we record on our box, rather than having series of things building up for months (a common habit for us). Just watched the absolutely stunning, and moving Show Me a Hero – the latest by David Simon (The Wire) about the Mayor of Yonkers in New York during a controversial public housing bill in the late 80s. Oscar Isaac plays the Mayor and wow, a six-part masterpiece. Look it up! I was feeling a bit melancholy on New Year’s Day, and not even down to a hangover. No, I was trying to write a blog but feeling a little bit of a failure due to the last post I wrote and being sure we would be finished all the bedrooms upstairs by Christmas. Needless to say, we didn’t. We didn’t really get close. And I was feeling stupidly annoyed with myself about it, for really no reason. We progressed as far as having one room plastered, and my plan was to try to get the rest done before Christmas so I could paint them all over the break. But, the only thing I managed to actually paint in the end were the doors to the ensuite and wardrobe (three, maybe four months after they were hung, but hey ho…). For anyone about to start, know this: renovating a house is endlessly hard, at times really dull, will take way more time than you ever thought it would, and cost at least double. (These are hardly new statements). But, if you can take all that, it is worth it. Honest. I absolutely love our house, and whenever I hear friends embarking on a move or house hunt I hug my unfinished, unpainted walls and think, thank you. We love you house, we’ll make you pretty one day house. And Forest Gate continues to thrive, and grow and we’re endlessly happy we managed to move here over two years ago. So, I won’t tell you what the plan is next for upstairs, because I don’t want to disappoint myself…but I’ll just know that we’ll get there soon. And that will be okay. H is for Hawk – Helen McDonald: I read this on holiday after having it on my ‘to-read’ shelf for about a year. It won the Samuel Johnson and Costa prize for Non-Fiction and I’d been told it was a bit of a hard slog so I just kept putting it off, but I really shouldn’t have. It was remarkable. Compelling, moving, fascinating and life-affirming. About grief more than looking after a bird of prey, but also immensely insightful about how looking after and respecting another living thing can, at times, restore you. All the Light We Cannot See – Anthony Doerr: This probably was my book of last year. Again one I’d had on the shelf for a while and heard many great things – all of which were justified. The story of a blind teenager surviving during the siege of San Malo during WWII – it is just beautiful. The Versions Of Us – Laura Barnett: Kind of Sliding Doors meets Life After Life, perfect for anyone that ever asks What If I never met/said yes/no etc that person? It’s a wonderful life (or multiple life) story. It’s just out in paperback – read it. After The Crash – Michel Bussi: I put this in mainly as I have a real fondness for it. It’s kind of a crazy, weird, compelling but little bit silly “who dunnit/who is it” thriller, translated from French. I just really enjoyed reading it while on holiday. Tiny, Beautiful, Things – Cheryl Strayed: I loved Wild, the book (the movie, not so great). Cheryl Strayed definitely has a thing with words, and this collection of letters from her Dear Sugar advice column was just a joy. I read it in one sitting on a plane, and it deals with all of life’s big (and small) questions giving honest, direct and often hilarious answers. Jonathan, Unleashed by Meg Rosoff: Out in February I think. I was lucky enough to read this on submission, and very sad we didn’t get to publish it, but as a long time fan of Meg Rosoff’s teen novels I gulped down her first adult one. Set in New York, with the hopeless but hopelessly loveable Jonathan – it’s a modern day love story, both insightful and hilarious with the best characters I’ve read in a long time (and dogs). Eligible by Curtis Sittenfeld: also out in April. I *heart* Curtis Sittenfeld and loved both American Wife and Sisterland so her doing a spin on Pride and Prejudice was eagerly awaited. I’m lucky to be working on the book and read an early copy and absolutely loved it. So so funny and totally accurate in bringing the characters up to date, I could almost read it all over again (and I only just finished). And finally, I am over the moon to see a Christmas present well-received. My best friend recently quit her high-powered job in law and I bought her Nigel Slater’s Year of Good Eating (the third Kitchen Diaries book). She’s spending her time incredibly wisely (I think!) and aiming to cook every recipe in it over the next year whilst also looking after her lovely almost 2 year old. 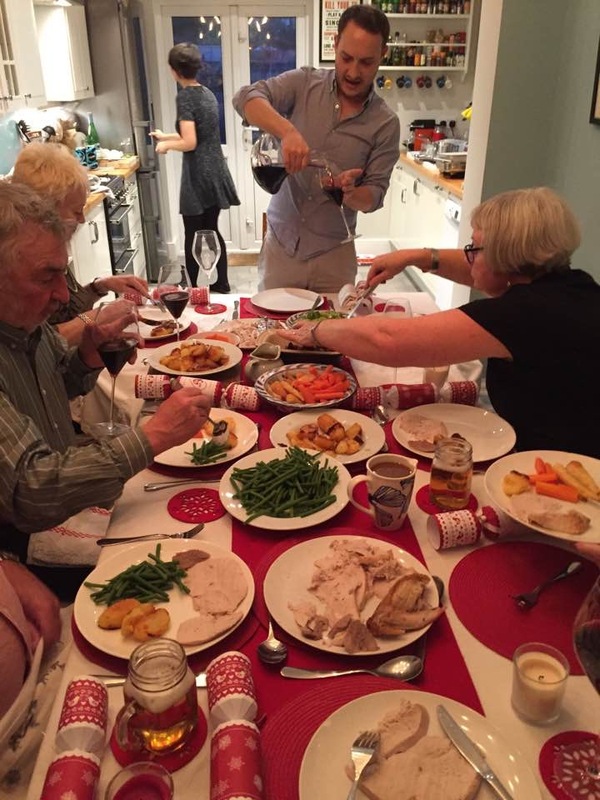 She’ll be blogging her progress here – wishing her much luck and hoping to enjoy one of two of those meals! 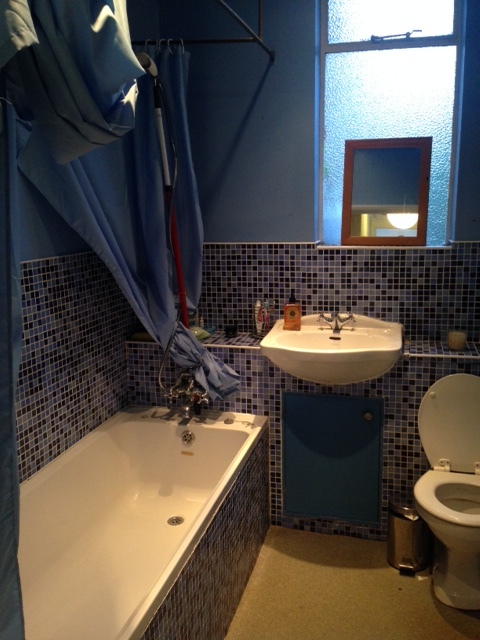 For anyone who’s visited our house, or even read this blog, you might recall we had a very strange en-suite. It was long and thin, far too big (lengthwise) and quite a bit mouldy. 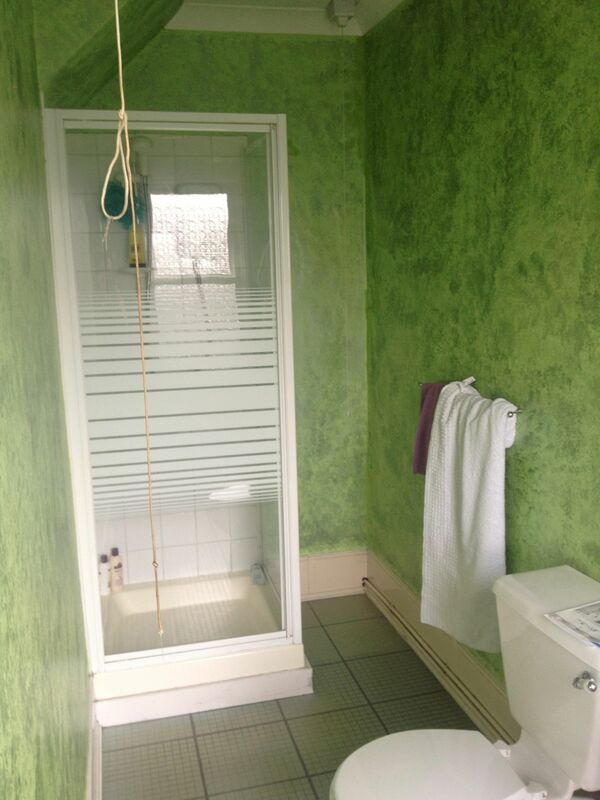 It was so green and awkward, with the loo in such a place it couldn’t be plumbed in (so as a result it was a very noisy macerator toilet…which was not pleasant), there was a tiny box-like shower, a floor I couldn’t get clean and it didn’t even have a door so we could shut it all away. It was a happy day when we ripped out the toilet and sink, but it was another 18 months before we could actually get to do the work needed to turn it into anything you would be happy to spend time in. 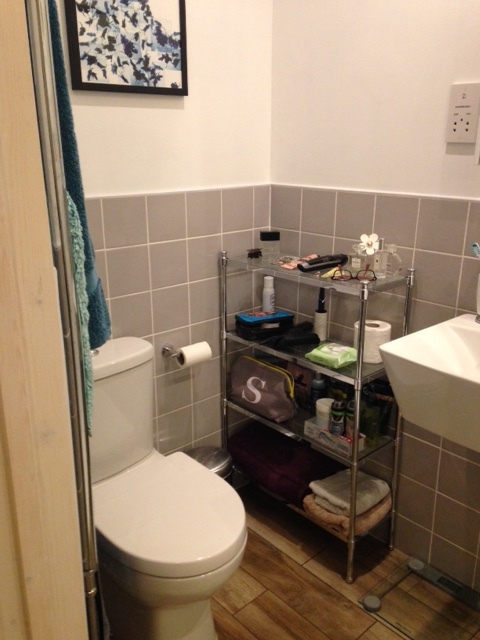 We always thought the en-suite was bigger than it needed to be, and planned to split it in two so we could build in some much-needed storage into our bedroom. You might ask why we didn’t have it the other way round, and of course, we would have loved to have had the bathroom at the front with the window, but alas, that was not possible. The original worry we had when we saw the very original macerator toilet was that because our bedroom is at the front, we might not actually be able to plumb a toilet in. 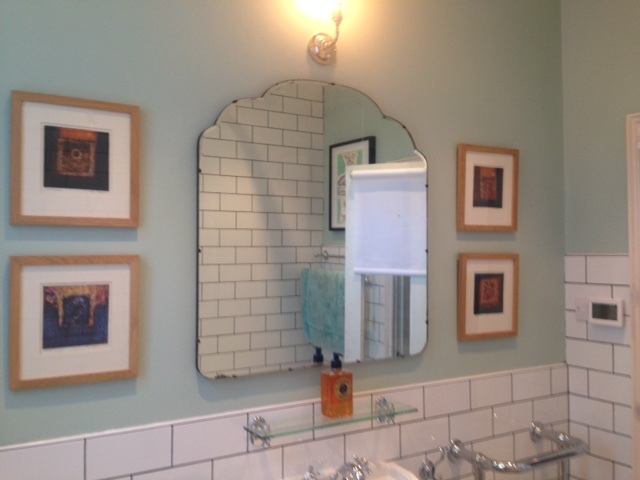 But, our builder was not put off and hoped that if he could get it as far back as possible, he could just about get the height and angle he needed to plumb a toilet in, essentially right in the middle of the upstairs. 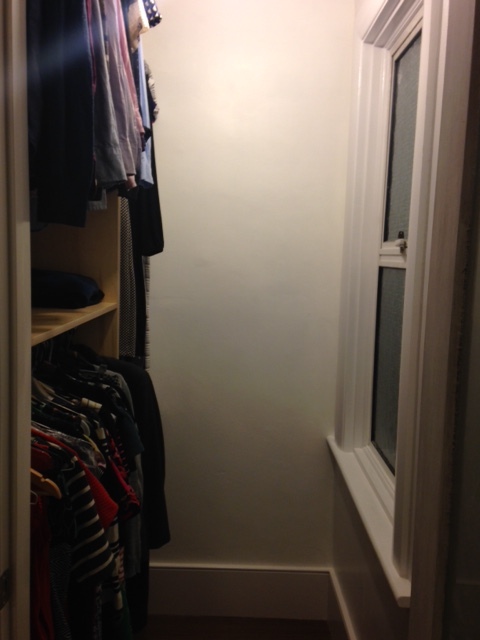 And hence how we ended up with a window in our wardrobe (soon to be covered with a blind, fear not). The reason we’d put this job back a bit, was due to the reorganisation needed to make the structure work. Because next to the where we wanted the bathroom to be, was the back bedroom – which essentially had to be taken apart in order to put the plumbing in. And then rebuilt. 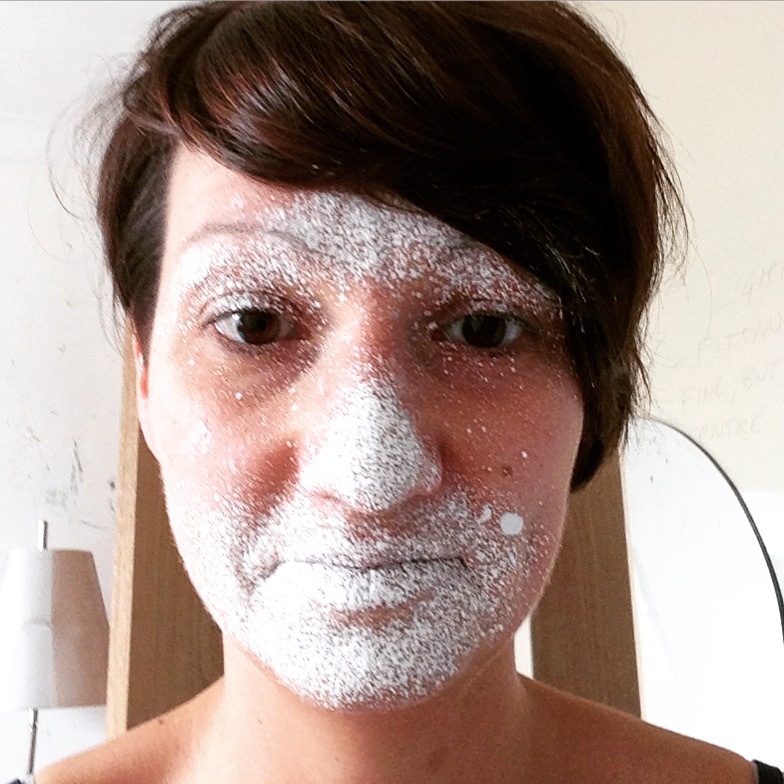 So – there was yet more dust. It’s the one job we’d been most worried about, but I think it’s maybe the one that we are now most happy with. Now I stare at the clean lines and nice, bright space and have almost forgotten the mouldy green walls. 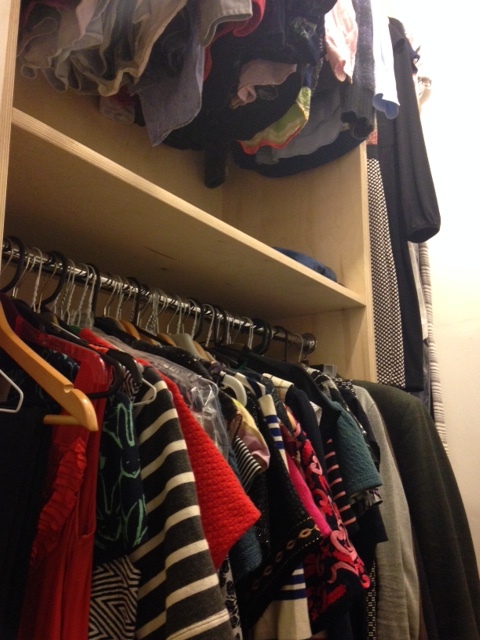 It’s a real treat to have all my clothes in one place for the first time in over two years. And we have more than enough room in both rooms – and doors to close them all away! Of course, we are not finished – now we have three bedrooms to be plastered and decorated…yet more skirting boards to add, doors to strip and paint, colours to pick, carpets to lay…but, for now, our main structural work is done in the house. For a long time we shouldn’t have to take any more walls down, or floors up…or put any more plumbing in. This is PROGRESS! 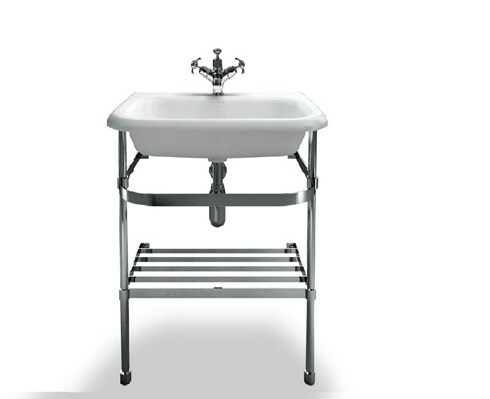 We got all our bathroom fittings from TJR Bathrooms on Romford Road, just over in Manor Park. They were fantastic. For the downstairs bathroom we bought everything online, and then waited for various different delivery schedules, had no customer service and probably didn’t save any money in the end. At TJR they gave a great discount and got everything delivered to themselves first, checked it all and then once it was all there then delivered to us. 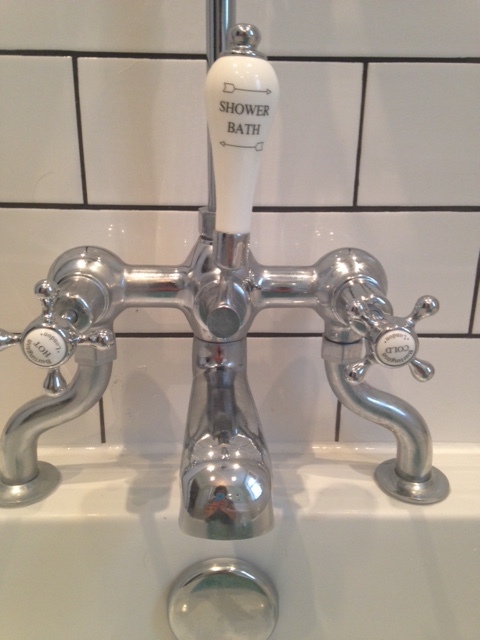 The Sottini tap we chose was going to take too long to come so they recommended another similar one from Kohler. When there were any problems they identified them first and then replaced them, and kept us all up to date in the meantime – we couldn’t fault them. It was a great example of why shopping locally can be the best. Yet again, our favourite tiling website came up trumps. Walls and Floors do next day delivery on sample tiles, which means you can get a few different things and end up with something you never thought you’d like – just as we did! I would definitely have turned my nose at the ‘wood-style’ tiles we ended up with if someone told me about them, but when I saw them online, I thought they were worth a look. Both me and my partner almost didn’t want to admit how much we liked them when they first came, and even my builder was like – “I would never have picked these, but, yeah, they’re REALLY nice”…I feel like we’re in a spa with a wooden deck – but slip-free and waterproof! We love our builder. He’s helpful and ambitious, but also has a very high standard of his own. Lots of people always ask me for his details, but he’s insanely booked up with other jobs right now and only likes super local jobs that he can cycle to (he lives in Leytonstone). Obviously happy to pass on details but won’t post them here so get in touch if you have time to wait for him and live nearby. And so, now we wait for the plasterer to be available to skim all the bedroom walls, then the decoration can begin upstairs. I’m hopeful to be done by Christmas, but as ever, I can’t imagine it! 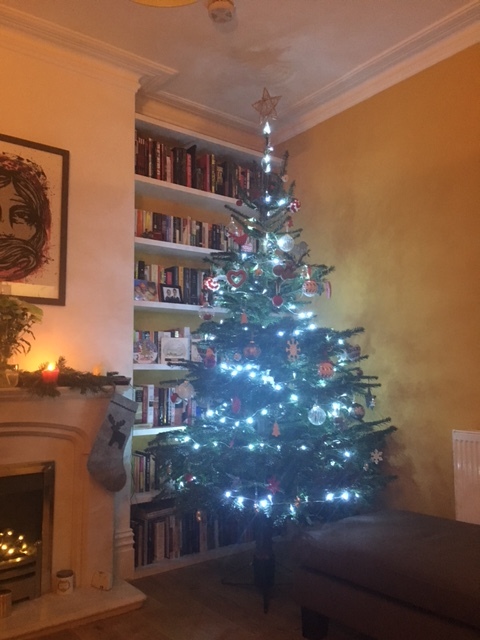 So, as it normally takes me about three months between posts, I’m hoping the next time I write, I’ll be saying – Merry Christmas, look at all my lovely bedrooms…(A Girl Can Dream). 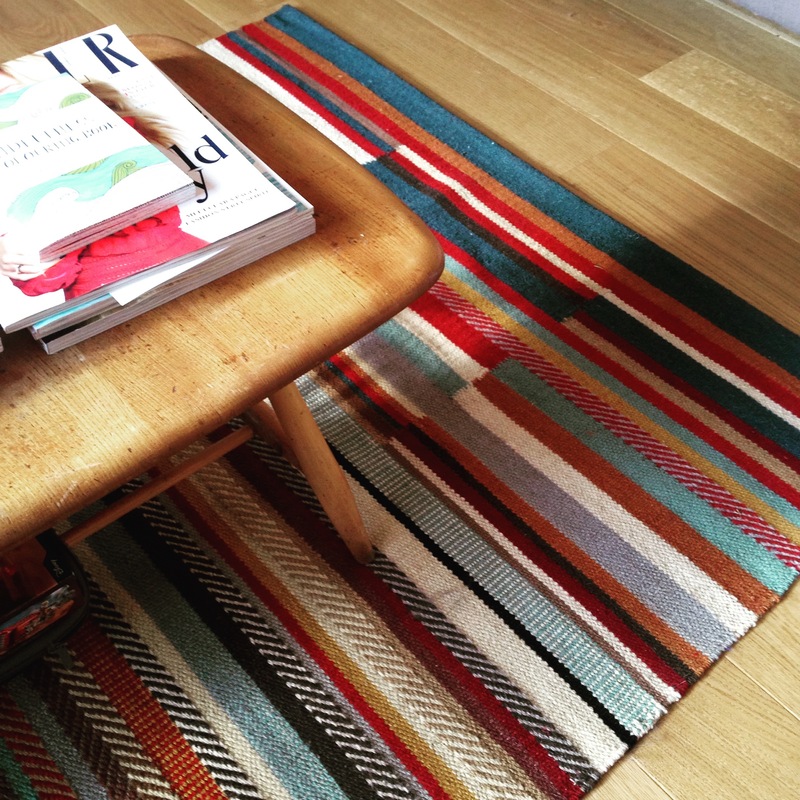 Last weekend it was two years since we got the keys to our house: two years since we spent the weekend assessing what we might want to do in each room; two years since we started ripping up carpets and digging into walls to rewire. Boy, how the time flies. 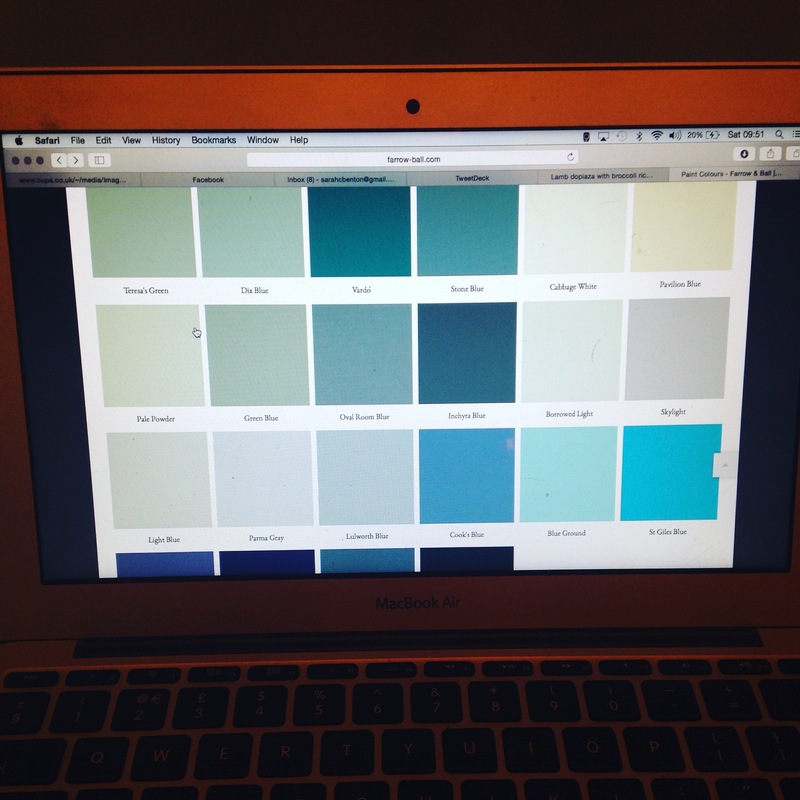 It’s been so long since a blog that there has been so much progress in the house! 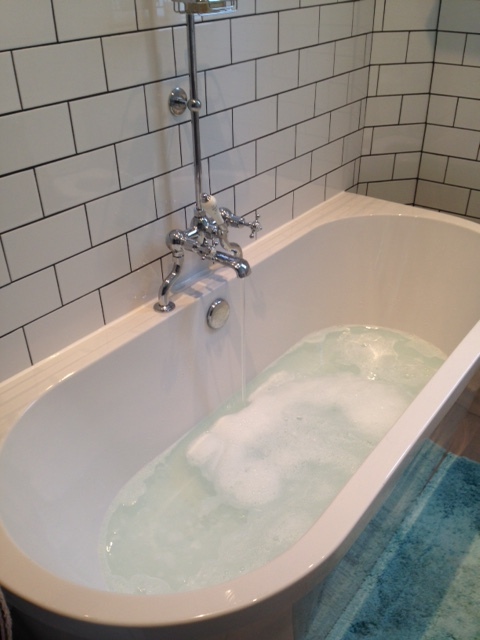 The bathroom was finished around 8 weeks ago and we are so so happy with it. We changed the layout slightly from previously, moving the sink and toilet from the window wall to the wall opposite the bath. This meant we could take our window down a few more brick lengths to let as much light in as possible. I love the new window so much, and it’s so light in there now we barely need the light on. So happy with this room now it’s complete! – A Game of Thrones by George R. R. Martin – recently been working on the books alongside the TV show at work. If you’re a fan of the show, the books really do add an extra dimension, just need to set aside the time! – Hausfrau byJill Alexander Essbaum – had heard a lot of brilliant things about this debut. It’s an incredible voice, but I found the main character so frustrating that I’m not sure if I loved it or hated it! – The Truth About the Harry Quebert Affair by Joel Dicker – had long admired this cover but didn’t know a lot about it. But, I loved this so much. A smart, complex and compelling thriller – I just could not put this down. A great holiday read! – Disclaimer by Renee Knight – now, I knew many people who loved this but it just wasn’t for me. There’s a great twist, but I just didn’t believe the behaviour of the main characters, so that ruined it for me. Still, one I’ve talked to many about after finishing! Currently reading: The Versions of Us by Laura Barnett – I cannot praise this highly enough. Beautifully written, ‘Sliding Doors’-esque drama, with three versions of one relationship. Completely wonderful, and also a stunning hardback package too. 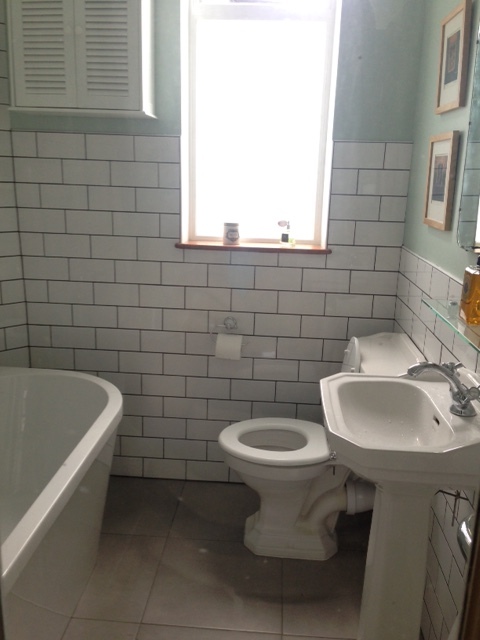 So spring is upon us (as much as the weather doesn’t want us to believe it) and we are finally a few weeks into our bathroom reconstruction. I say reconstruction as it really is that rather than renovation, in that very little that was there before will remain. Including four levels of previous flooring (! 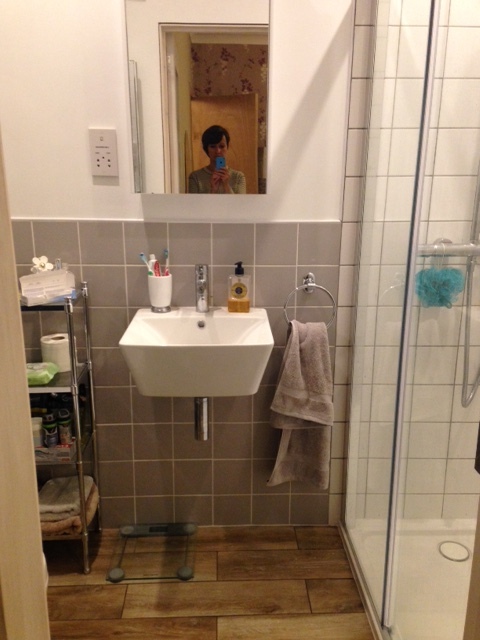 ), the bathroom layout and a frustratingly too high window. 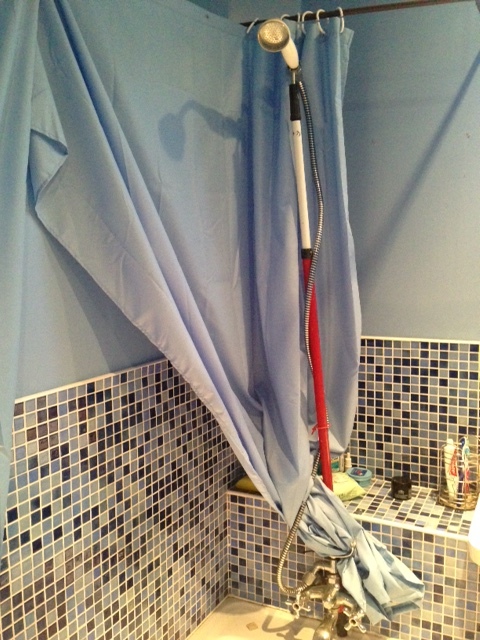 We are lucky, in that we have a separate toilet in the loft, and a shower cubicle in what’s left of our ensuite. So, we are surviving through the concrete, plumbing and dust. I would say we are approaching the halfway point…I hope. Use for an old bath! 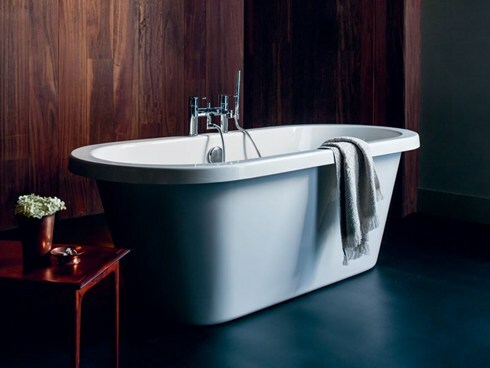 Instead of completely freestanding, we picked this Clearwater modern bath instead – which sits flush to one wall (to give us more space) but still has the desired effect, and I love it (well, I hope I will). In place of our swanky sink (boo hoo, I am still sad about that…) we are going for a smaller traditional sink from Heritage, and matching toilet (our desired toilet was also too big…). 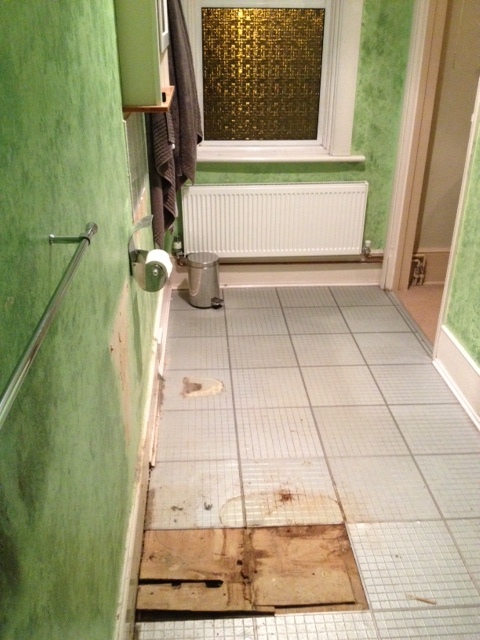 Our tiles were an easy choice, thankfully. Floor: Grey City Limestone Matt Tiles. 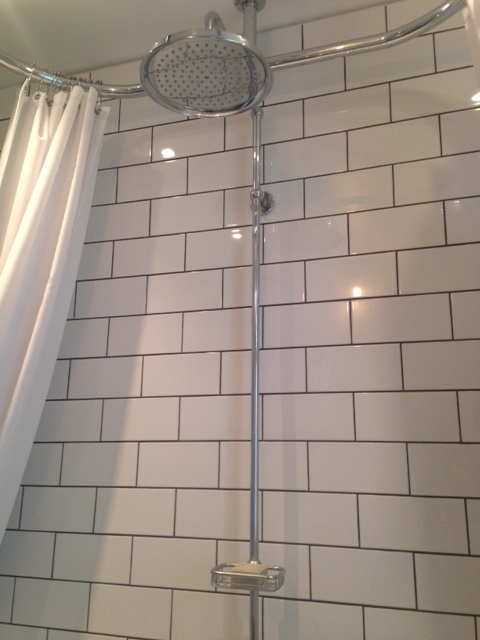 Walls: White Gloss Smooth Brick Tiles. Fantastic service from Walls and Floors. Next week: window gets finished, wall tiling starts…and our builders’ wife likely goes into labour, so we will be taking a rest for a week or two! – (For work) The Trouble with Goats and Sheep, by debut Jo Cannon, which we will publish next Spring. To say I loved this was an understatement. Very Mark Haddon-esque. Look out for it next year! – (Again for work) – Nelly Dean by Alison Case – out in August. Wuthering Heights from the servant’s perspective. This is superb. The most fantastic voice – reimagined gothic fiction at its best. Don’t miss it. – Wild by Cheryl Strayed. Bought this on a whim after seeing great reviews following the film – found it compelling, inspiring, emotional and made me want to go off and trek through California for a year! – Currently reading – So, You Have Been Publicly Shamed by Jon Ronson. Fascinating exploration of public shaming including through social media.